The USC Trojans take on the Notre Dame Fighting Irish in South Bend on Saturday in big week 8 action. Notre Dame lost its second game of the season in a 20-19 squeaker to Georgia, but 4 straight wins have revived their season and they enter this at 5-1, primed to start compiling the big victories that could lead to big things down the road. A win over USC would certainly qualify. The Trojans had a lot of trouble at home against Utah on Saturday, but barely hung on for a 28-27 win. At 6-1, they've covered the spread just once this season and none in their last five games, underscoring how a lot of people are still waiting for the Trojans to hit their high notes this season. The Fighting Irish have won four in a row, with three of four coming on the road. In their last contest, they beat UNC on the road, 33-10. The loss of QB Brandon Wimbush wasn't a factor against the Tar Heels and he is expected to practice this week, with the extra week of rest really coming in handy as the Irish were inactive in week 7. We'll see if his ankle injury affects his running style, as the Notre Dame run-attack is their ticket to success. Maybe the injury will force Wimbush to throw more, an area where he still has a lot to prove, with Notre Dame having one of weakest aerial attacks of any ranked team. At their best, Notre Dame's offense can really run the heck out of the ball. It serves to rest their own "D," while wearing out the opponent's defense and stalling out their offense. Four different players have four or more rushing touchdowns for the Irish, who have already run the ball in 23 times this season. Wimbush has been effective with 402 yards and 8 scores, but the heavy lifting is done by junior Josh Adams, who is averaging 9 yards a carry with 776 yards. Deon McIntosh and Dexter Williams (questionable) also chime in with production on the ground. Again, the aerial theatrics are minimal, but they can still spring forth with the occasional big play, with Wimbush connecting with guys like Equanimeous St. Brown, Chase Claypool, and Alize Mack. So far, the Notre Dame defense has held up pretty well, but should be tested against the more-talented offenses they play this season, such as the Southern Cal offense. They will give up yards both through the air and on the ground, but they get big plays, make timely stops, and often times play their best ball late in games. Up front, Daelin Hayes and Jerry Tillery are adept at getting after quarterbacks. Nyles Morgan, Te'Veon Coney, and Greer Martini have been big at linebacker, making plays all over the field. In the secondary, Julian Love, Nick Coleman, Jalen Elliott, Shaun Crawford, and others have been getting after it. USC has not been living up to expectations and the reasons are multifold. It's only fair to acknowledge the inordinate amount of injuries they have suffered this season. A lot of key role guys are out, especially on the defensive side of the ball. But even the offense seems like a diminished version of what we saw last year. Other than their win over Oregon State a few weeks ago, every team has been in the game with them. We're not seeing dominance and unless they get it together, they look to be facing an awfully-tough spot this week and their chances of making a national splash this season is diminishing. Still, they're 6-1 and a lot of good things can still happen for this team. After all, they've turned it around before. There is no questioning the ability of Southern Cal quarterback Sam Darnold, as his presence in this offense has transformed the team, as well as the expectations of fans and bettors. From that angle, their 1-6 ATS record speaks volumes. Still, to be 6-1 with all the injuries and with an offense that has been out-of-character also says a lot, as they're a 3-point loss away from being unbeaten even with all the issues. Some guys who were banged up are back in the fold, with WR Deontay Burnett big on Saturday. Tyler Petite caught two TD passes and young Josh Falo caught another TD. Ronald Jones, II. is showing good form and had 111 yards on Saturday, with a tumbling run into the end zone late being crucial. The USC defense has been up and down this season, sometimes even within the same game. They sometimes haven't been that clutch with teams having key scores at the end of games. Still, they were able to get the big play in the Texas win in OT and also on Saturday with stopping Utah's attempt at taking the lead late with a two-point conversion. True, it shouldn't have even come down to that, but the defense, after giving up 21 first-half points to the Utes, kept them off the scoreboard until the end of the second-half. Cameron Smith had a pick. Growing pass-rush force Christian Rector had 2 more sacks. There are difference-making players on this side of the ball, though a lot of shuffling has taken place with all the personnel issues. This might be a better betting spot for the Trojans. A lot of people don't think they'll win this game. So far this season as a big favorite in a lot of games, they have fallen flat. Perhaps they can make it work in this role on the road. This won't be easy for Notre Dame. They beat Michigan State, lost to Georgia, and beat some OK teams. They're not invulnerable and USC brings a certain level of menace they haven't seen this season. But waiting for a supposed-vintage USC team to surface has been a costly endeavor thus far in 2017. I just see the Trojans performing better in a more pressure-free and non-conference underdog role. I'll take the points. 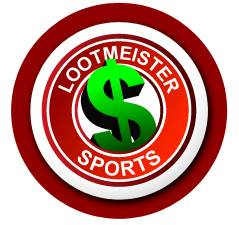 Loot's Prediction to Cover the Point Spread: I'm betting on the USC Trojans plus 3.5 points.Tired of your credit card not working for sportsbook deposit? End that problem today and bet the USC vs. Notre Dame game by signing up at Bovada Sportsbook where your credit card WILL work and where you'll receive a generous 50% sign-up bonus!